DO-IT engages with other countries to adapt practices to promote the success of people with disabilities in college studies and careers; the development and use of technology for people with disabilities; and the promotion of universal design of instruction, physical spaces, technology, and services. Permission is granted to translate the text of publications and the captions on videos to other languages and to adapt the wording to make it more culturally relevant. DO-IT should be acknowledged as the original source and the web address should be sent to doit@uw.edu so that the new products can be linked from this page. The DO-IT Scholars program has been replicated in Japan. Hosted by the University of Tokyo since 2007, DO-IT Japan conducts a Summer Study session each summer, provides mentoring, and otherwise supports students with disabilities as they pursue college and careers. US DO-IT Director Sheryl Burgstahler shares congratulations in a video as DO-IT Japan celebrates its tenth anniversary. The DO-IT Scholars program has been replicated in Malaysia. Hosted by the University of Malaysia since 2012, DO-IT Malaysia conducts a Summer Study session each year, provides mentoring, and otherwise supports students with disabilities as they pursue college and careers. 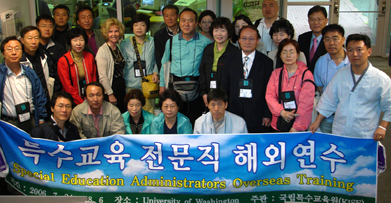 Individuals and organizations are encouraged to replicate DO-IT practices worldwide. To get started, consider the following actions, also summarized in the publication Replication and Adaptation of DO-IT Practices. Develop a support program for youth with disabilities. Creating a Transition Program for Teens: How DO-IT Does It, and How You Can Do It Too - Guidelines for creating college and career transition programs for teens. Creating an E-Mentoring Community: How DO-IT Does It, and How You Can Do It Too - Guidelines for creating an electronic mentoring community. Making Math, Science, and Technology Instruction Accessible to Students with Disabilities - Comprehensive materials and resources help science, math, and technology teachers fully include students with disabilities in their classes and labs. How DO-IT Does It - A video presentation showing how to offer DO-IT activities for students with disabilities. Assistive Technology Used by DO-IT Scholars - Hardware and software used by DO-IT participants. Accessible Technology - Assistive technology for people with various types of disabilities and the design of accessible technology and media. Universal Design in Education: Principles and Applications - Applications of universal design to educational settings at all levels. Universal Design of Instruction - Definition, Principles, and Examples - Designing instruction to maximize the learning of all students. Equal Access: Universal Design of Student Services - Applying universal design principles to the development of accessible student service units on postsecondary campuses. Equal Access: Universal Design of Physical Spaces - How to make campus facilities and physical spaces accessible to everyone. Building Capacity for a Welcoming and Accessible Postsecondary Institution - Sample agendas, videos, handouts, overhead visuals, and resources for conducting Capacity Building Institutes to create welcoming and accessible postsecondary courses and services for students with disabilities. Building the Team: Faculty, Staff, and Students Working Together - Synthesis of research, institutionalization guidelines, presentation tips, tailored presentations, overhead visuals, and handouts help faculty and administrators at postsecondary institutions fully include students with disabilities in courses. Includes video presentations. Students with Disabilities and Campus Services: Building the Team - Synthesis of research, institutionalization guidelines, presentation tips, tailored presentations, overhead visuals, and handouts to help student service staff and administrators make their campus services more accessible to students with disabilities. Includes video presentations. DO-IT connects with organizations worldwide that share its goal to increase the success of people with disabilities in postsecondary education and careers, using technology as an empowering tool. Some of those most closely aligned with DO-IT activities outside of the United States are included below, organized by country. Please send additional links for this ever-growing list to doit@uw.edu.